Unsung provides a glimpse into Nobel Peace Prize winner Dr. Denis Mukwege’s world at Panzi Hospital (Democratic Republic of Congo), where survivors of sexual violence receive treatment and recover. 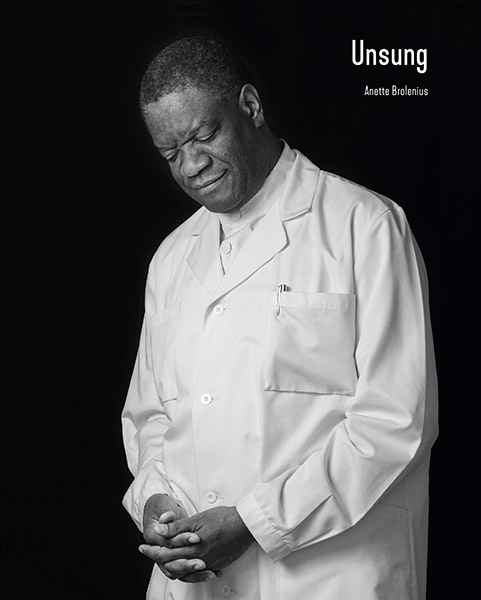 Over the years, Dr. Mukwege and his team have helped many thousands of women and girls who have survived gross human rights violations. While respecting the integrity and privacy of the patients, photographer Anette Brolenius was given access to the hospital and documented the nuts and bolts, which make this world-renowned institution work. Dr. Mukwege is also a prominent women’s rights activist and human rights defender. As a second part of Project Unsung, Anette portrays human rights activists from around the globe. Human rights defenders are often the last recourse for victims of human rights violations, many of whom are threatened and see the space to do their work shrink. A selection of the more than a hundred activists she has portrayed is depicted in this book, with descriptions of what they do and what motivates them. 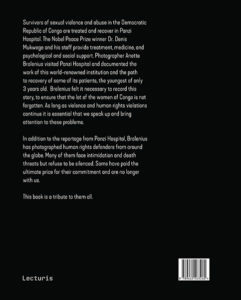 The book is the photographer’s tribute to individuals who put themselves in harm’s way to defend rights which should be universal, and many of us enjoy and take for granted, but are denied to many others.